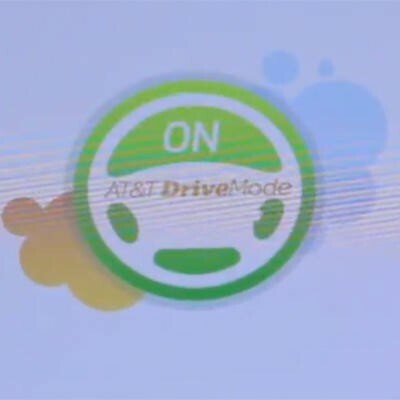 AT&T launched a new app today called DriveMode that aims to help curb the problem of people texting while they drive. In 2010 AT&T launched the "It Can Wait…" program to educate people that they shouldn't text while driving. Continuing its attempts to get this point across, the carrier launched a new app today called DriveMode that can act as essentially an out-of-office email-style reply. Once activated, the app will disable notifications from sounding so you won't be tempted to pick up your phone, and an automated reply will go out to any incoming texts that you are currently driving and are unable to reply. Once you reach your destination and turn off the app, all of your messages will be viewable in their normal manner. You can set the app to allow calls to get through to you from up to five numbers from people such as family, and access to 911 will always be available. Music and navigation will still be accessible so long as you set them up prior to activating DriveMode. "As a leading service provider, we want to educate and equip wireless customers with the tools they need to stay safe on the road," said Charlene Lake, chief sustainability officer and senior vice president of AT&T Public Affairs. "That's why we're proud to introduce AT&T DriveMode as the next wave of our 'It Can Wait' campaign. We're hoping to reach new and experienced drivers alike to generate a change in behavior and underscore our message that when it comes to texting and driving, it can – and should – wait." The app is available from the AT&T AppCenter and BlackBerry App World. The second video below will explain how the app came about. Would you use an app like DriveMode?